Judie Rothermel brings us her classic Aunt Grace prints, now in charming pre-printed blocks ready for your own creativity. Or, simply recreate Vicki Bellino's BOM design -- it requires 2 of the 24" panels. 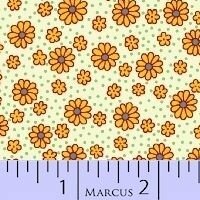 Fabric manufactured by Marcus Fabrics.